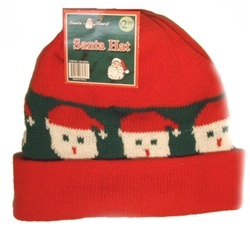 Christmas stocking caps come in different festive holiday designs. These Christmas beanies are one size fits all. There are 12 beanies per bundle. These Christmas Beanie Hats are in stock and will ship within 2 business days. For expedited shipping please call 888-399-4659.